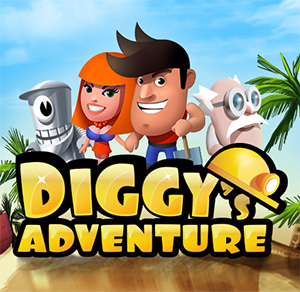 Diggy's Adventure solutions and walkthrough for all Meteor Mayhem Event's levels and challenges. To get all rewards and avoid getting stuck. Check the guides before starting the event quest. There are 11 of these rare meteorites scattered in all locations of the Meteor Mayhem story. Collect them all to exchange them for some great camp equip. Quest Intro: "I was just doing what one usually does in their free time - spying on my neighbors, tracking the night sky - when I spotted the meteor. The one that has been lost for centuries, made of otherworldly, precious materials. We have to get our hands on all the pieces it splintered into during the fall!" Quest Intro: "According to my calculations, which are of course correct, the next meteorite should be found in a nearby stone pit. I'm sure you'll... rock... this little expedition." Quest Intro: "The next meteor piece went flying all the way to Egypt, almost destroying the Pyramid of Green Rings! I once traded only six camels for a used telescope there. Hope your luck will be just as good." Quest Intro: "Another piece of the meteor was falling towards the busy area of Parisian coffee shops full of yummy food. Don't worry. No puppies were harmed. Unfortunately, no mines either. Just kidding, I love mines! ...Except the one who dumped me on Valentine's day." Quest Intro: "The next meteor piece fell right smack in the middle of someone's garage. Good thing it wasn't mine. Go get it and don't forget to look around. Where fast cars are, speed potions aren't far behind. You definitely look sturdy enough to digest that kind of fuel." Quest Intro: "This library is in shambles after the crash, the books are scattered everywhere! I hope the astronomy books are all right. Who cares about the other ones? Go have a look. You might even gain new 'experience'. You know... 'level up' on your knowledge." There is one sequence of colors in this level, found in two places. In each of them you need to fill missing parts by using colored stones. Note that this is optional because of the bug in the game you can pass through the door without solving the correct sequence. Quest Intro: "My telescope caught a meteor place flying towards the ocean. It might have crashed into a tanker. No worries, it was already sunk, so no casualties. Well, not besides the treasure cheasts full of shiny coins it was meant to transport. You could rescue those..."
Astronomer Alfons: "Since you're so rich now, you could buy me a new telescope. I only have ten. But before you do, we're going to look for the last meteorite." Quest Intro: "This is it. The last meteorite piece was seen crashing into a cave full of green crystals! I'll just stay here. I'd rather not get attacked by rabid foxes. Or even worse... penguins. They're birds that don't fly. You can't trust them." Quest Tip: Leaving tiles around the holes that you are not entering will help you identify them easily later.